Katra Town is at the foothills of Trikuta Mountains, 48 KMs from Jammu it is located at an altitude of about 2500 feet above sea level and serves as the base camp for the famous shrine of Shri Mata Vaishno Devi. 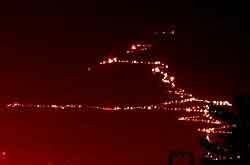 The vehicular traffic is not allowed beyond Katra for visiting the Holy Cave Shrine of Mata Vaishno Devi Shrine. The journey beyond Katra is either on foot along a 13 KMs long well laid trek/footpath or one can opt for Helicopter Service. The journey on 13 KMs trek can either be undertaken by foot or on horses/ponies / palanquins (palkies or dolies). Most of the pilgrims prefer to go on foot, but for some who find it difficult to negotiate the climb hire pony or palanquin. How to reach Katra - For Air Travel Jammu is the nearest Airport. Train route to Katra has recently been established though most of the trains from all over India still terminate at Jammu Railway Station. There are daily scheduled Bus Services to Katra from a number of cities and towns from the adjoining states of Punjab, Haryana, Himachal Pradesh and Delhi. From Jammu buses leave for Katra every 5 minute from early in the morning till late evening. Taxis are also available both at Jammu and Katra. 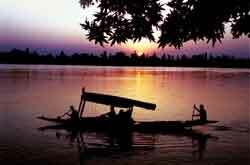 In Jammu, these can be hired from the Jammu airport, Jammu Railway Station and the Tourist Reception Centre in the city. 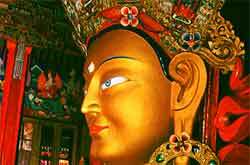 A number of travel agencies also conduct tours to Katra regularly from most of the major cities of India. Registering for the Holy Yatra (Pilgrimage/ Journey) - First and the foremost thing to do after reaching Katra is that the visiting Yatris (pilgrims) should register themselves with the authorities for undertaking the Yatra (journey) on the designated trek to the Holy Cave Shrine, as no Yatri is allow to proceed on the Yatra without registration from the base camp Katra. Registration is done on first come first serve bases. 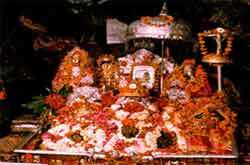 Shri Mata Vaishno Devi Shrine Board (SMVDSB) has made facility for Online Yatra Booking as well. In Katra, Registration is done at the Yatra Registration Counter (YRC) of SMVDSB situated at the Bus Stand where the Registered Yatris are issued a Yatra Parchi (Slip), free of cost. 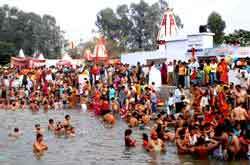 Being mandatory, no pilgrim is allowed to proceed for the Yatra beyond Yatra Parchi Check Counter at Banganga in Katra. Yatris are advised to retain the Yatra Parchi till they reach Mata Vaishno Devi Bhawan where the Yatris would be allotted a group against the Yatra Parchi for the Holy Darshan. 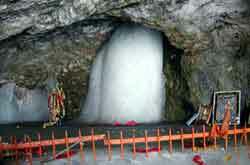 This also helps administration to regulate the Yatra to the Holy Cave Shrine in the interest of visiting pilgrims. As per SMVDSB, the Yatra Parchi also covers devotees with an insurance cover against any untoward casualty due to accidents. Facilities at Katra - Being a place where Yatries halt for a while and make preparations for the trek to the Holy Shrine, the base camp of Katra cater to a wide variety of facilities like accommodation, food/ refreshments, parking for vehicles, cloak room facility etc. Food and Refreshment - Katra has wide variety of Vegetarian Restaurants and Dining places. Being a religious place, almost all restaurants and catering outlets in Katra provide pure Vegetarian food to the pilgrims (without even using onion and garlic). Parking of Vehicles - Sufficient parking spaces are available in and around Katra. 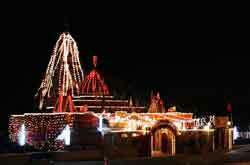 The Shrine Board provides free parking facility in its various complexes. This facility is however open only to bona fide users of the complexes. Cloak Room Facility - Considering that many Yatries would like to leave behind their excess luggage in Katra before undertaking the Yatra, Cloak room facility is also offered by many Hotels and Lodges in Katra. Shri Mata Vaishno Devi Shrine Board has free cloak room facility in all its Guest Houses/Lodging places to bonafide users of these complexes. Certain private Sarais, shops and establishments also claim to offer such facilities but yatries are advised to reassure themselves of the credentials of the service provider before entrusting their luggage to them. In particular, video cameras, besides other electronic equipment are not allowed on the track for security reasons. Yatries must make adequate arrangement for the safe keeping of such equipments before embarking on the Yatra.